„The Greek economy is on its way back. All the indicators are positive“. The outpouring of optimism came from the Prime Minister Alexis Tsipras having announced Greece’s withdrawal from its bailout program. Eight years and 260 billion Euros borrowed from the EU later, Greece is expected to be ready to return to international capital markets in August, a moment with a significant symbolic importance. Nevertheless, the Greek economy is far from fully recovering from the impact suffered by Troika-imposed fiscal adjustment. Between 2010 and 2014, Greece’s GDP shrank by almost 30% as a result of austerity policies enforced by Brussels, which equates to Europe’s largest economic depression outside of wartime. Stringent financial restriction in response to Greece’s sovereign debt crisis, has consequently led to widespread impoverishment and a serious humanitarian crisis. However, civic indignation has also fostered a new network of solidarity in Greece. 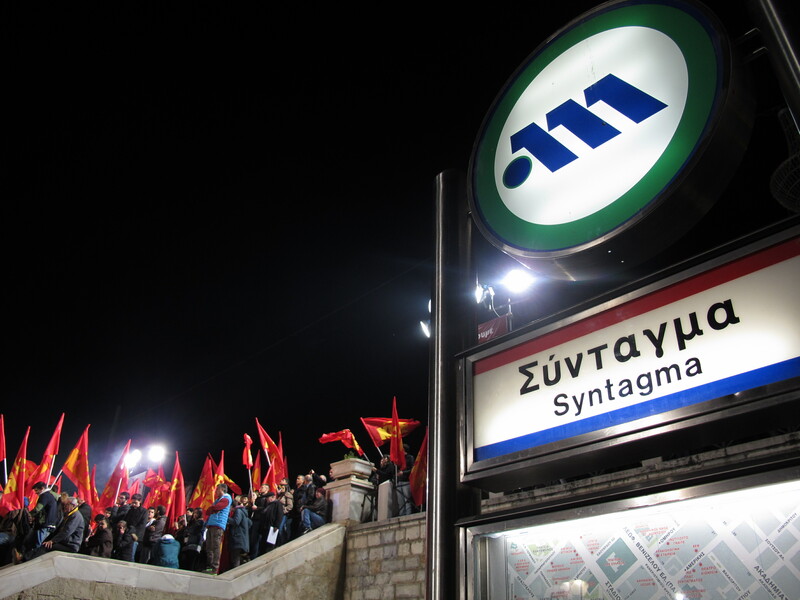 As people took to the streets and started to demonstrate in Syntagma square in Athens, an anti-austerity protest movement was created, spawning numerous support networks that have played a key role in addressing people’s needs and providing services the state no longer granted. Social clinics, alternative food, clothing and furniture networks have proliferated. As well as giving new hope to Greeks who have felt humiliated by the Troika’s policies, the new social movements also created ties among the population and helped them continue to fight for their rights. Reacting to the EU’s and IFM’s treatment, in 2015, Greece elected, unprecedentedly, a radical left-wing party. The Syriza government has, however, been forced to comply with reforms imposed by Brussels, prolonging the agony of countless Greeks and disappointing many voters. Demonstrations, though, are now far less frequent and the country is finally showing signs of economic recovery. Unemployment has dropped from a high of 28% to close to 20% and economic growth rose 1.6% last year. Exiting the bailout program is a crucial step for Greece returning to normality and regaining its sovereignty. However, this is only the beginning of the recovery of political independence. There is still a long way to go in restoring the living conditions that most Greeks enjoyed before the crisis.